Yes, I want to learn to drive an RV. Learning to to drive an RV can be scary. It’s a lot of added weight, your maneuverability is different than what a car offers and you have to be completely aware of your extra length. At Wilkins RV we want you to feel prepared to hit the road with confidence, which is why we’re offering our driving school seminar. 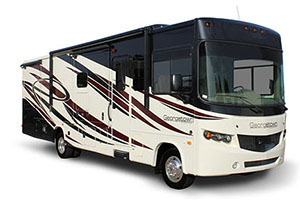 Join us April 9, between 9am and 2pm for hour long classes on how to safely drive your RV. In fact, this seminar was specifically designed to help you feel calm, cool and collected behind the wheel of a motorhome. Bring your driver’s license and we’ll get you behind the wheel of one our RVs on our lot, so you can learn from hands on experience. Don’t let a fear of driving an RV stop you from taking a family vacation. Come on in, beat that fear and discover the freedom RVing has to offer! This seminar is totally free and open to the public. Register here.